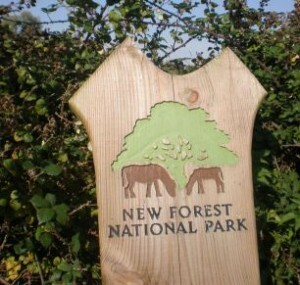 The New Forest National Park Authority handles all the planning functions of the country’s smallest National Park which sits mostly in Hampshire (in the New Forest District) with a small area in Wiltshire. Development Plan: The principle document is the Core Strategy adopted in December 2010. Pre-application advice: At present there is no charge for this service although given this such enquiries are not necessarily given the highest priority! Affordable Housing: No threshold (i.e. even one new residential unit is expected to contribute towards affordable housing). In the defined New Forest villages of Ashurst, Brockenhurst, Lyndhurst and Sway, the only locations where residential development is likely to be acceptable, 50% provision is required with only single dwellings allowed to contribute towards off site provision. Elsewhere only affordable housing “exceptions sites” are ever likely to be approved – which would be 100% AH. New Forest SPA – Development within 400m of the New Forest SPA will be charged £1,250 per net additional dwelling.  to promote opportunities for the understanding and enjoyment of the special qualities of the area by the public.